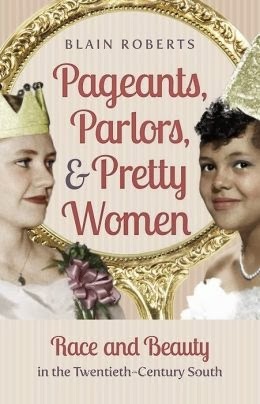 From the South’s pageant queens to the importance of beauty parlors to African American communities, it is easy to see the ways beauty is enmeshed in southern culture. But as Blain Roberts shows in this incisive work, the pursuit of beauty in the South was linked to the tumultuous racial divides of the region, where the Jim Crow-era cosmetics industry came of age selling the idea of makeup that emphasized whiteness, and where, in the 1950s and 1960s, black-owned beauty shops served as crucial sites of resistance for civil rights activists. In these times of strained relations in the South, beauty became a signifier of power and affluence while it reinforced racial strife. Roberts examines a range of beauty products, practices, and rituals–cosmetics, hairdressing, clothing, and beauty contests–in settings that range from tobacco farms of the Great Depression to 1950s and 1960s college campuses. In so doing, she uncovers the role of female beauty in the economic and cultural modernization of the South. By showing how battles over beauty came to a head during the civil rights movement, Roberts sheds new light on the tactics southerners used to resist and achieve desegregation.